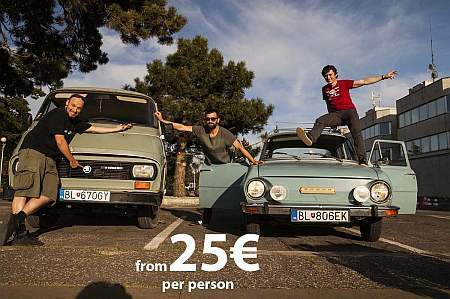 Quirky alternative tour in a legendary 1970-1980’s Czechoslovak car Škoda or crappy 8-seater van Škoda 1203 through the off-the-beaten-track places of the communist past as well as recent transformations in Bratislava. 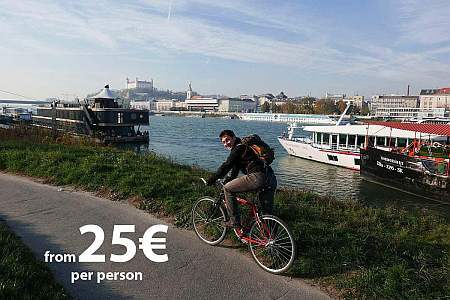 Bratislava Iron Curtain Bike Tour takes you from Bratislava Old Town along the Danube river to visit the former Iron Curtain border zone with Austria, WWII Czechoslovak military bunker, beaches of the Danube and more. Look beyond the Old Town tourist zone: walk with us around the communist-era landmarks of Bratislava and taste workers’ cuisine in retro spots with locals. Food tour for those who search for gastronomy with a difference. Local insight by local experts. Authenticity guaranteed. 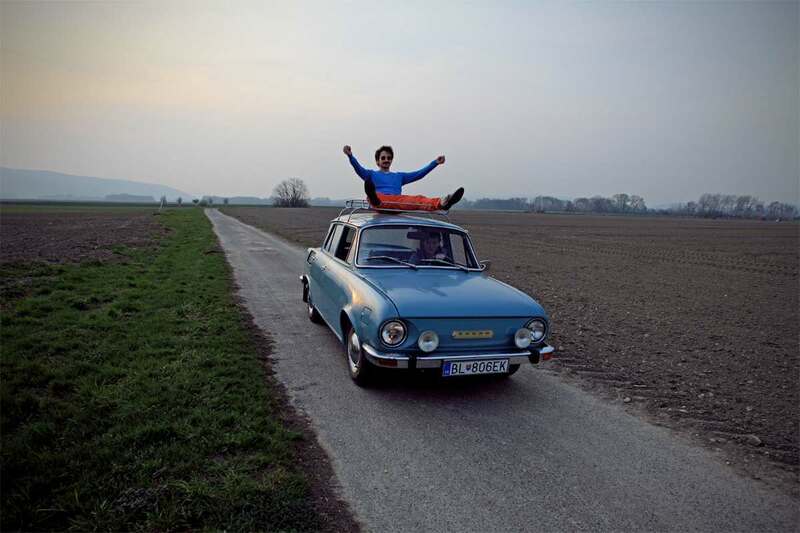 Tour in a legendary 1970-1980’s Czechoslovak car Škoda through the off-the-beaten-track places of the communist past as well as recent transformations in Bratislava. WWII memorials, abandoned factories, Iron Curtain and loads of Soviet-era architecture. Explore the Iron Curtain area of Bratislava, WWII bunkers and bike along the Danube. Bike tour for anyone who feels like exploring off-the-beaten-track places in Bratislava and its outskirts. Easy route avoiding hills, 14 kilometres long, bicycles provided. Look beyond the Old Town tourist zone: walk with us around the communist-era landmarks of Bratislava and taste workers' cuisine in retro spots with locals. Food tour for those who search for gastronomy with a difference. Slovakia is a country with unexpectedly high density of castles and castle ruins, hidden in the forests of the Carpathian mountains. We offer the best selection of the ruins you can see during one-day trip from Bratislava. Tired of the city rush but still longing for a drink? 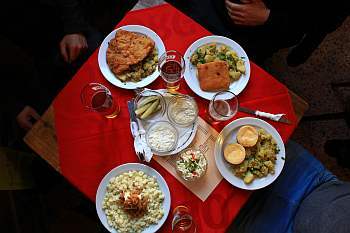 Visit authentic Slovak village and try pub crawl as never before. We visit distinctive region Záhorie, north-west of Bratislava. Four villages, four local pubs, at least four drinks. You drink, we drive! Authentic Slovakian wine tasting at local producer in Little Carpathian wine region combined with a small hike into the vineyards and up to a castle ruin above the town of Svätý Jur. 4-hour tour that takes you away from Bratislava into the real countryside. Pleasant hiking tour near Bratislava with splendid views, sandstone, abandoned Cold War missile hangars, legendary Devín castle and traditional currant wine tasting. Devín is a must-do destination during your stay in Bratislava. Where do you wish to be picked up?